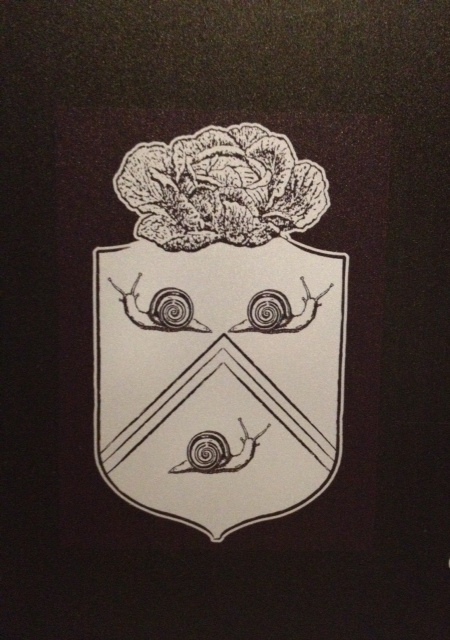 Actually, I should make that “trois escargots et un chou.” That was the tongue-in-cheek coat of arms chosen by the great French landscape architect, Andre le Notre, when a grateful King Louis XIV ennobled him. 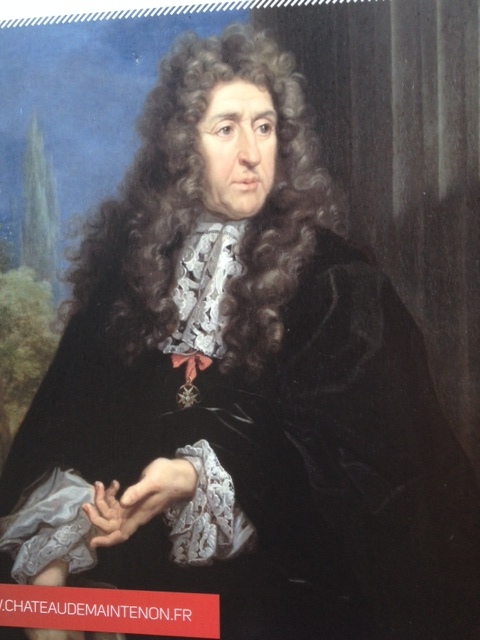 Le Notre was born into a family of gardeners; his family lived in a house in the Tuileries, in the very shadow of the Louvre when it was still a royal palace. He was a humble man; he always called himself “just a gardener.” He never wrote any treatises on his work; he let his gardens speak for themselves. He developed the French formal garden into a sublime art form and an expression of the most current scientific thought as well. Le Notre worked on the formal gardens at Chantilly, Vaux-le-Vicompte, Fontainebleau, and many other chateaux. His work culminated in the spectacular grounds at Versailles. A more modest example of his work is at the Chateau de Maintenon, home of the King’s final and “secret” wife. While wandering in this beautiful manicured garden, I could hardly bear to think of my raggedy yard at home. 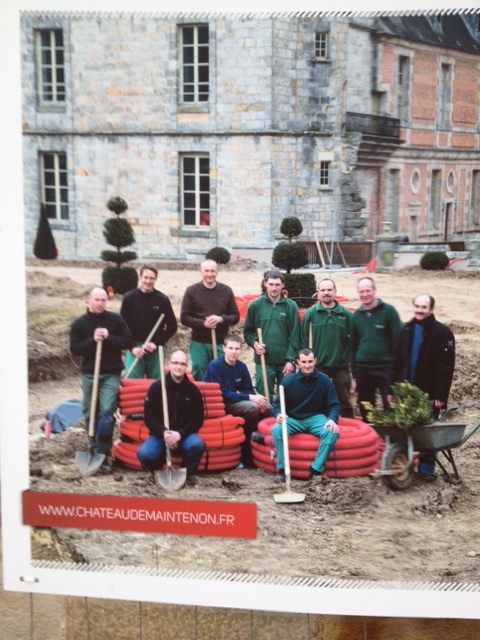 Then I came upon a photo of the staff employed to maintain even this small and modest French formal garden, and I felt better! 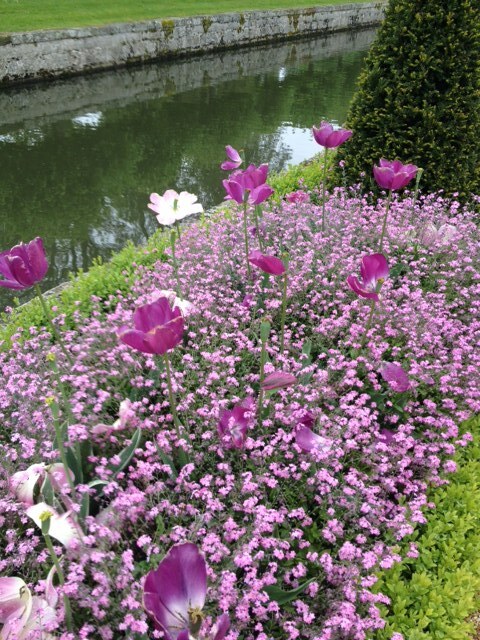 This entry was posted in Art, France and tagged Andre le Notre, Chateau de Maintenon, French formal gardens, Louis XIV, Versailles on June 18, 2014 by Claudia Suzan Carley.